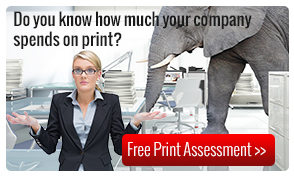 Managed Print Services (MPS) is a great way to outsource, optimize and manage your print environment. A good MPS provider will offer a detailed assessment of your current environment and what you’re actually spending and then create a plan to optimize your print environment. Outsourcing your print environment to a qualified MPS provider can free up your team’s time to focus on business-critical tasks like growing your company. MPS is a smart way to make the most of your print budget, cutting costs, streamlining workflows and increasing productivity.